We’d love your help. Let us know what’s wrong with this preview of The Little Blue Book On Life by Randall Coleman. This book was "written" by one of the characters in the book, The Dreamers, James Rutherford St. Albans. Jim, known to his friends as "Doc," because of his PHd in American pop culture and his stature as a tenured professor at the University of Minnesota, had always had a dream to have one of his books published. You can read about his story and the stories of his friends i This book was "written" by one of the characters in the book, The Dreamers, James Rutherford St. Albans. Jim, known to his friends as "Doc," because of his PHd in American pop culture and his stature as a tenured professor at the University of Minnesota, had always had a dream to have one of his books published. You can read about his story and the stories of his friends in THE DREAMERS. 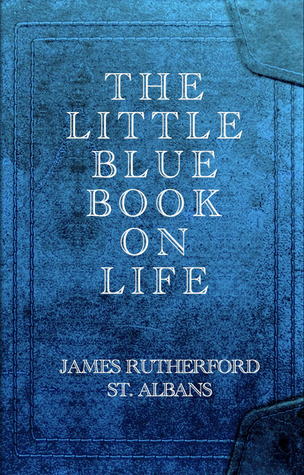 The Little Blue Book on Life is a compendium of life observations for readers aged 12 and up. It contains creative text and graphics which add to the overall impact of the "life lessons," in the book. It is a very easy read and easy to pick up at any time and discover amazing insights into this thing we call Life. Published December 10th 2012 by The Moon Above Pte. Ltd.
To ask other readers questions about The Little Blue Book On Life, please sign up.